Protect yourself from EMF radiation from wireless devices; mobiles, tablets, computers etc. Relieve the effects of electro-stress and boost your natural energy. bioDOT is powered by phi technology. It holds and radiates a natural energy signature which continuously retunes and revives your energy field. Simply attach the bioDOT to your favorite jeweler, carry it in your wallet or stick it on the back of your watch. A truly cost effective way to beat the ‘energy blues’ and get the most out of your day. bioDOT is the personal DOT. The DOT for you to wear. It is programmed with powerful resonant Phi Technology. The natural, coherent frequencies used in this programming harmonies or retune your energy field. They remind your energy field of its optimal state, making it more coherent and resilient. It is like recharging your battery, restoring and rebalancing your energy. Ideally wear your bioDOT all the time – day and night. Just peel off the protective backing paper and fix securely to any clean, dry, non porous surface using the super strong adhesive backing. 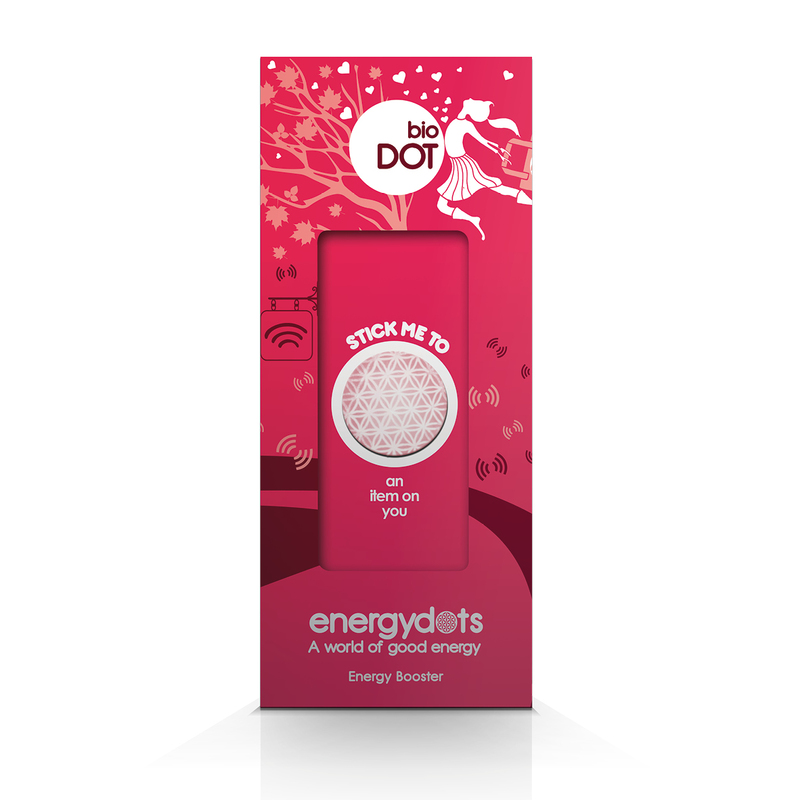 The bioDOT can be used by adults (including pregnant women), children, babies, pets and even plants. The energetic programming is not affected by water so you can wear your bioDOT in the shower, bath or pool.